Safe Storage Solutions is conveniently located on Interstate 5 in the city of Ferndale just 10 miles south of the Peace Arch Border Crossing and 8 miles north of Bellingham. We are located ½ mile north of exit 266 and just 2 miles east of Birch Bay allowing our customers convenient access to their property and an ideal location to store RV’s and Boats. Safe Storage Solutions is committed to the safety and security of our location and is in the process of upgrading our lighting and video security systems. In addition, Safe Storage Solutions provides access to the property through a digital entry system that records access via individual security codes. Finally, Safe Storage Solutions is extremely visible to I-5 traffic making it a less than ideal target for theft. 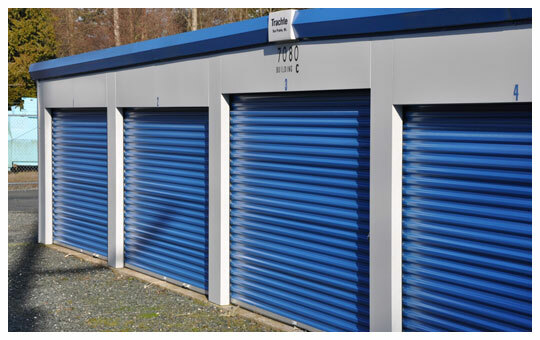 All of the units at Safe Storage Solution are ground level with drive up access making it extremely easy to load and unload your storage space. Our electronic access system gives our tenants 24/7 365 days per year access to their property. 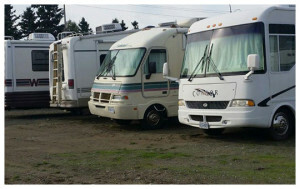 No need to wait for business hours to park your RV or load/unload your storage unit. Safe Storage Solutions is committed to providing the BEST possible service to our customers. We take a tremendous amount of pride in our business and know that our success is dependent upon your satisfaction and your referrals. If you aren’t happy we will do our best to make it RIGHT! Safe Storage Solutions’ owners have over 60 years of customer service experience and we appreciate your business.